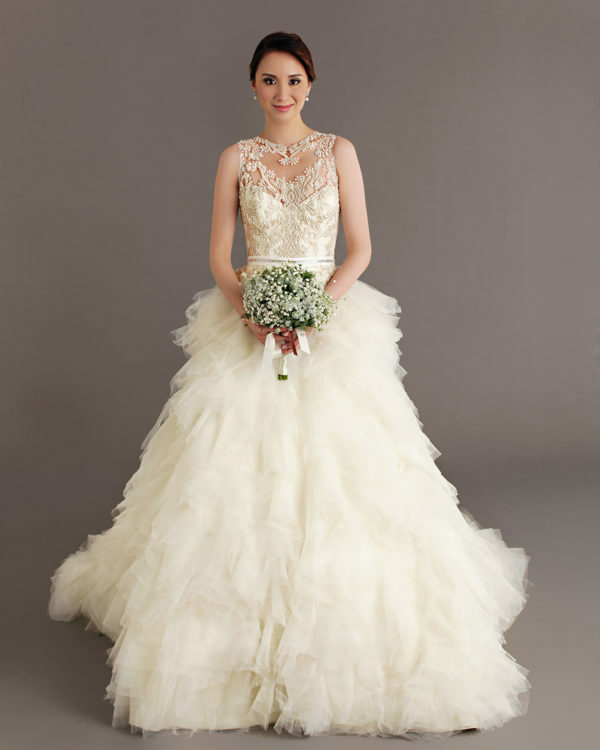 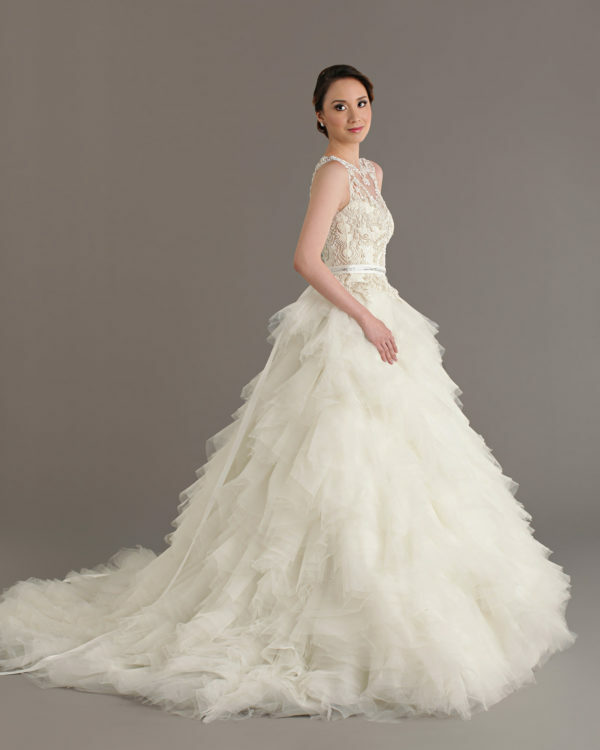 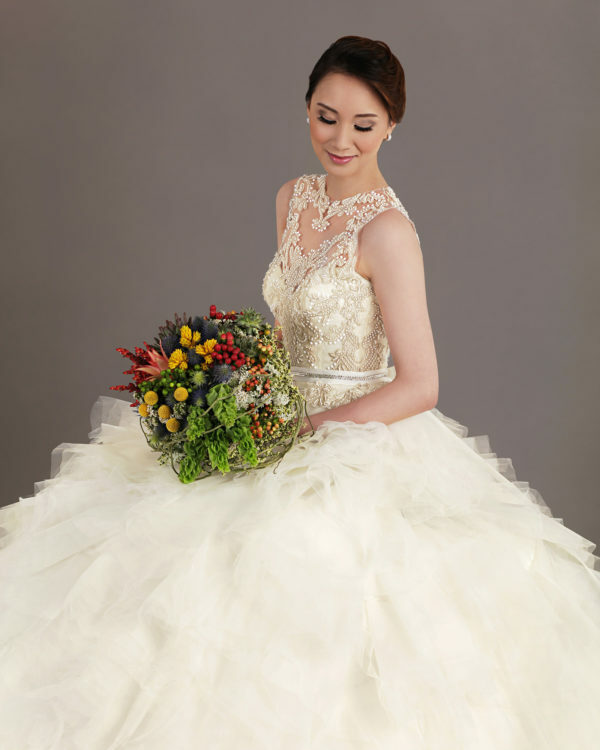 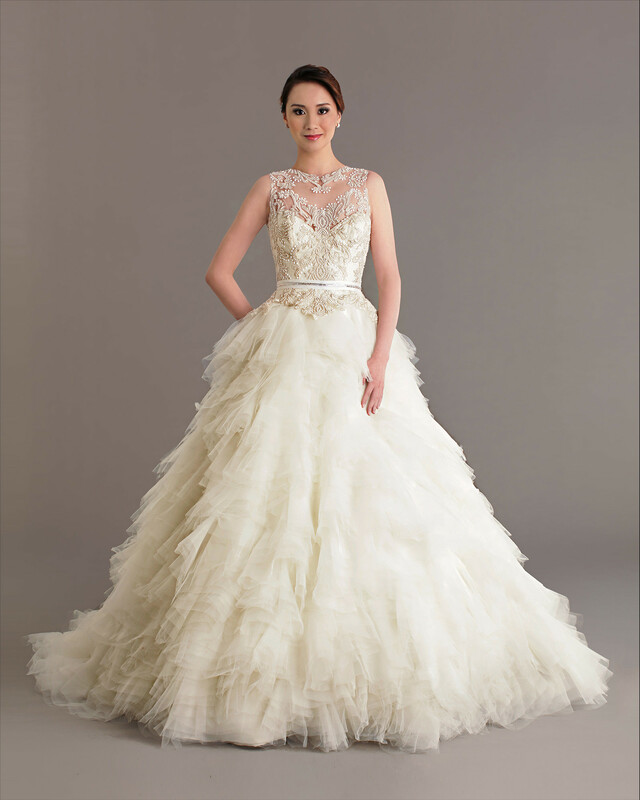 Beautiful sleeveless ball gown with lovely beaded embroidery on the bodice and a full textured skirt. 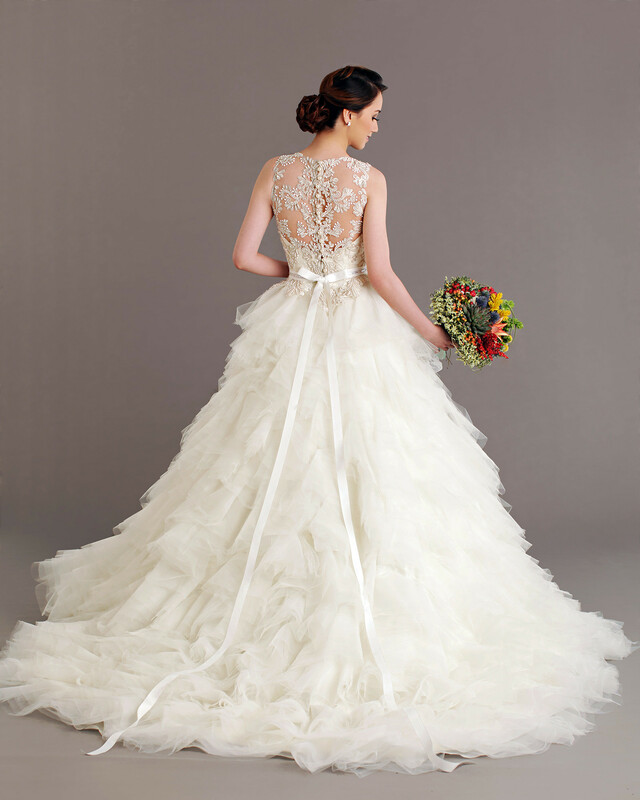 Belted with Swarovski-embellished Grosgrain ribbon. Chapel length train.